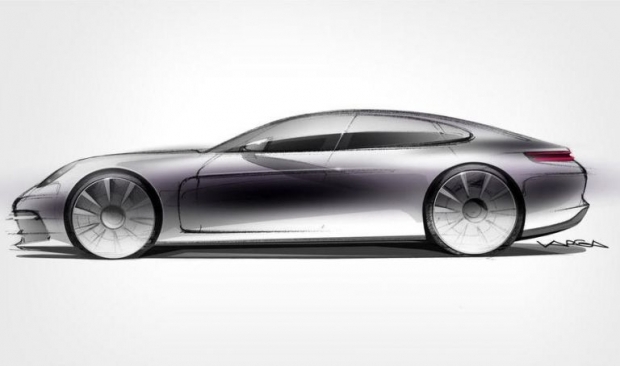 PARIS, June 15 — Teaser images of the new-generation luxury sports GT suggest that when it makes its official debut at the Paris motor show this fall it should stir up some excitement. The existing Panamera, a car that attempts to offer the dynamics of a Porsche 911 with the comfort and space of a BMW 5 Series, is a car that’s great on paper but one that disappoints visually. But the new car has a much clearer personality and sharper lines and much more entertaining V8 and V6 powertrains. If the sketches are to be believed, the wheelbase is also bigger, meaning more cabin space for front and rear passengers. How much exactly won’t be clear until the car makes its official debut, however, Porsche has confirmed that performance will definitely be up on the existing model, partly due to using lighter, stronger materials in the construction, and partly from the five years’ worth of engineering innovations that the company has made since the first Panamera went into production.